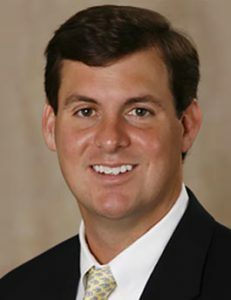 Ben Hales was named Senior Vice President of Marketing and Business Development for the New Orleans Saints and New Orleans Pelicans in June of 2012 and oversees marketing initiatives for both teams. Hales, who enters his 16th season with the Saints and fourth with the Pelicans, spent seven seasons as the team’s Vice President of Marketing and Business Development. Since joining the Saints in 2000, Hales has helped create and implement a variety of new sponsorship opportunities, including the development of a premium sponsorship program (called Patron Saints Partners). In addition, under Hales’ direction, the team added a sponsorship fulfillment department to ensure that team partners receive the highest level of service and return on investment. Also under his direction, the The Saints have significantly increased its participation in television and radio programs in the last few years. In addition to two weekly in-season television programs, the Saints now produce numerous television specials airing on three different stations—Cox Sports Television, WUPL-TV, and WVUE-TV—throughout the year. Hales joined the Saints in 2000 as a corporate sales account executive. In 2001, he was promoted to corporate sales and broadcasting manager before being promoted to his current position in 2003. Before the Saints, Hales worked in television advertising in the New Orleans market. A native of New Orleans, Hales graduated from the University of Mississippi in 1996. Hales, his wife, Kendall, and daughter, Madison, live in New Orleans.